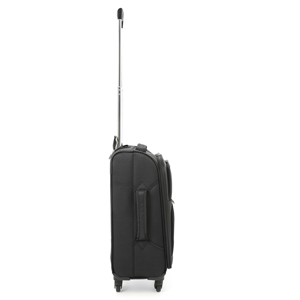 Dimensions (Body): 18.5 x 13.78 x 7.87″ – Will fit the Carry on size for American Airlines, Delta, United, JetBlue, Aeromexico, Hawaiian Airlines, Allegiant Air. Also approved for Southwest Airlines, Alaska Airlines, Westjet, Spirit Airlines, Frontier Airlines, Virgin America, Porter. Sun County and Air Transat. 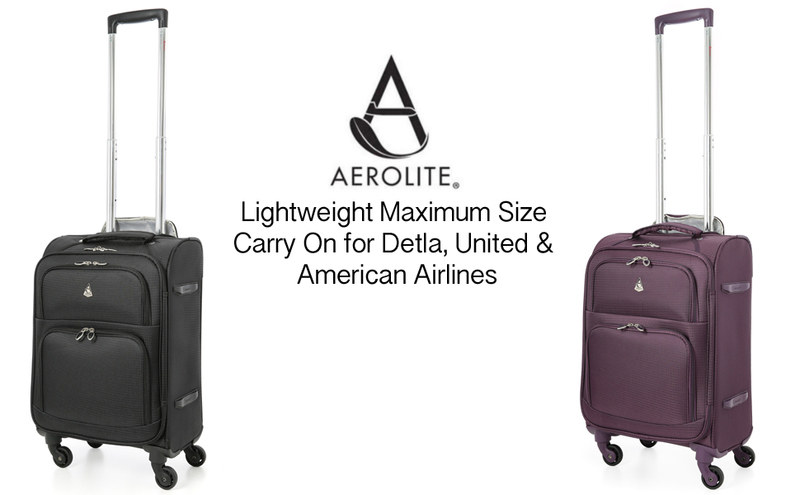 The Aerolite brand is world renown for offering some of the lightest suitcase on the marker. We’ve helped ensure millions of travellers worldwide enjoy more of their travelling experience, and removed the stress of baggage weight limits. Available in a number of different sizes and colours, you’ll be able to find the perfect travel partner, and best of all, Aerolite bags come with a 10 year promise of quality for peace of mind! 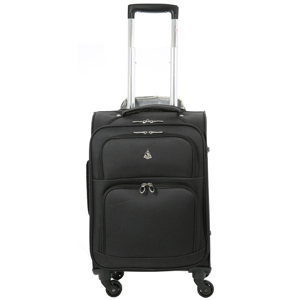 This suitcase has specifically made for the North American market as it fits within the exact limit of the major airlines maximum carry on baggage limit of 22x14x9”. This means you will be able to pack as much in your carry on as you could possibly want for flights with American Airlines, United Airlines, Delta. it’s also within the Southwest Airlines limit too, so it’s the perfect bag for all traveling! 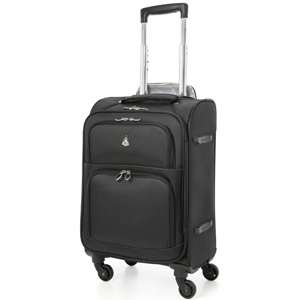 A large 33L capacity, is far greater than other spinners on the market. 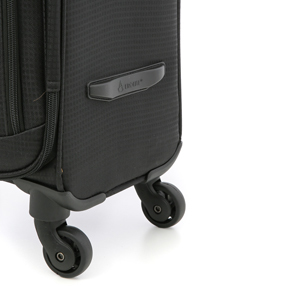 The Suitcase can swivel and spin thanks to the 4 wheel design, ensuring it can be either pushed or pulled.Branded rubber side protectors also help keep your suitcase away from getting worn out. Inside the case you will find a branded 3 digit padlock which can be used to connect the two zips together. It’s made from a very tough, hard-wearing Jacquard material which will ensure your luggage will resist the rigours of travelling. 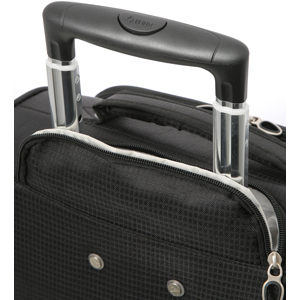 It features reinforced corners which, unlike some lightweight luggage options, safe-guard the security of your contents.A sturdy retractable grip handle is actioned via a push button which aids easy transporting. The bag features two front-facing pockets which are fastened by a dual-zip feature, ensuring you’ll have easy access to important items such as your passport or entertainment devices.A top and side tug handle means you can carry it like a holdall when needed too.